I’ve just finished my third week of classes and I’m learning so much! We’re already wrapping up our first class on the breakup of Yugoslavia and the wars of the 1990s. This class focused on Yugoslavia before Tito’s death in 1980 and the events leading up to the wars of the 90s. One of our homework assignments was to watch the BBC documentary titled “The Death of Yugoslavia”. I highly recommend this documentary; it was broadcast in 1995 and includes interviews with all the major actors – Milošević, Tuđman, Kučan, and more (those were the presidents of Serbia, Croatia, and Slovenia at the time). Belgrade was the former capital of Yugoslavia, so much of the documentary depicts major events that happened in this city. As I walk around the city, I recognize much of the buildings and monuments from the documentary – I still can’t believe I’m living in the very city where all the events I’m learning about happened! My professor took us on walk through the city to visit several monuments and sites of history. 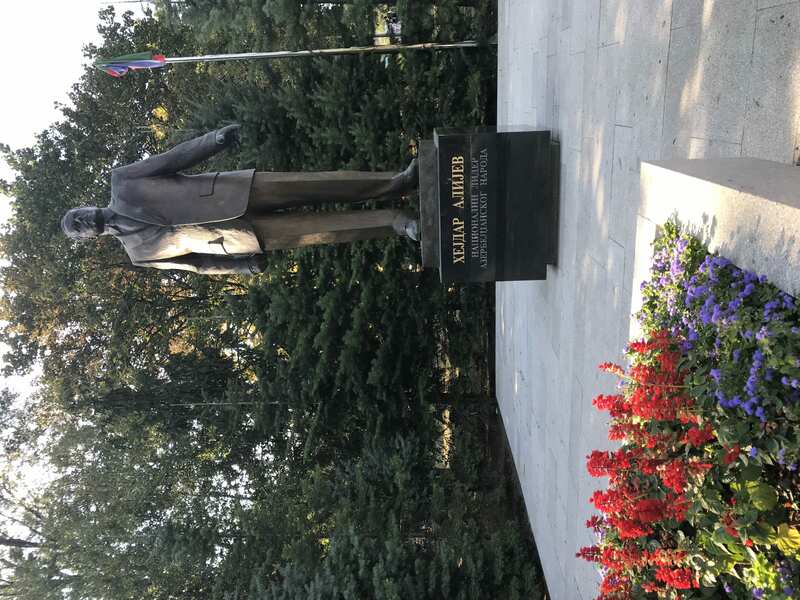 Our first stop was the Parliamentary building, where on October 5 2000, the people of Serbia took to the streets to demand the resignation of Slobodan Milošević (the President of Yugoslavia at the time) and the establishment of democracy. People broke into the parliamentary building and stole furniture (which the current prime minister is still searching for on Ebay today). The event is sometimes known as Bager revolucija, which means Bulldozer Revolution. This is because a Serb from the south of Serbia drove a bulldozer all the way to the capital, and smashed it into the Radio Television of Serbia building. The RTS building was seen as a symbol of the Milošević regime, as he controlled the state media as a tool for his nationalist propaganda. The RTS building has an interesting history. 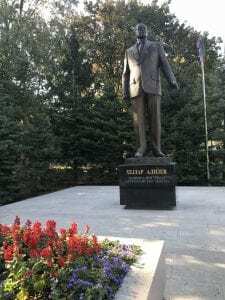 In 1999 when NATO decided to intervene in Yugoslavia by bombing parts of Serbia and Kosovo in an attempt to halt the war and atrocities in Kosovo, NATO officials originally hoped Milošević would comply within a week and the bombings would stop. However when this did not occur, the NATO bombings continued for several months – from March to June. NATO officials ran out of targets, so they took a new interpretation of international law. NATO declared that since Milošević could be considered a dictator, all institutions backing him would be considered legitimate targets. 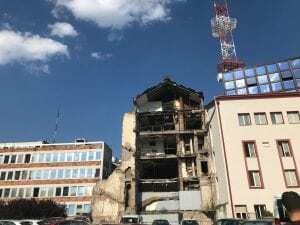 Thus, the RTS building became a target for NATO bombs on April 23 1999. 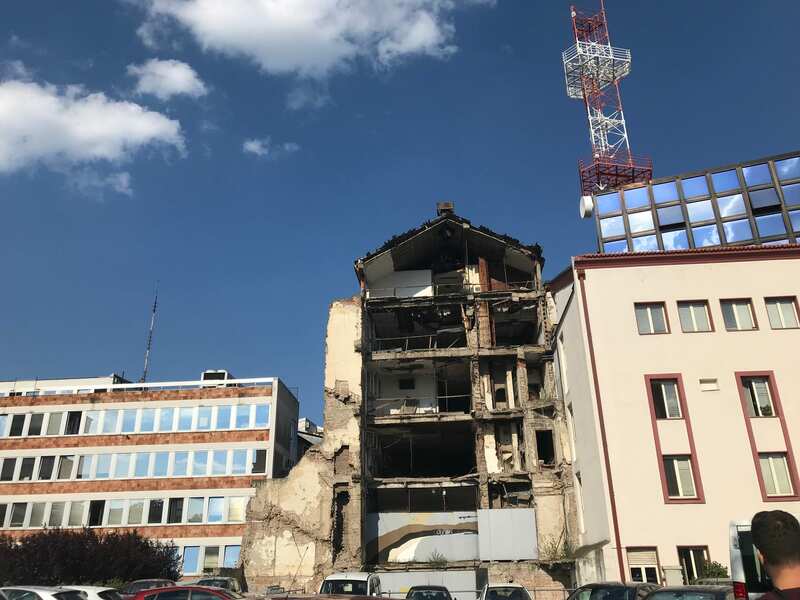 All NATO bombing targets were pre-announced to the Serbian government at the time.However, the directors of RTS and leaders in the government decided not to evacuate the building. 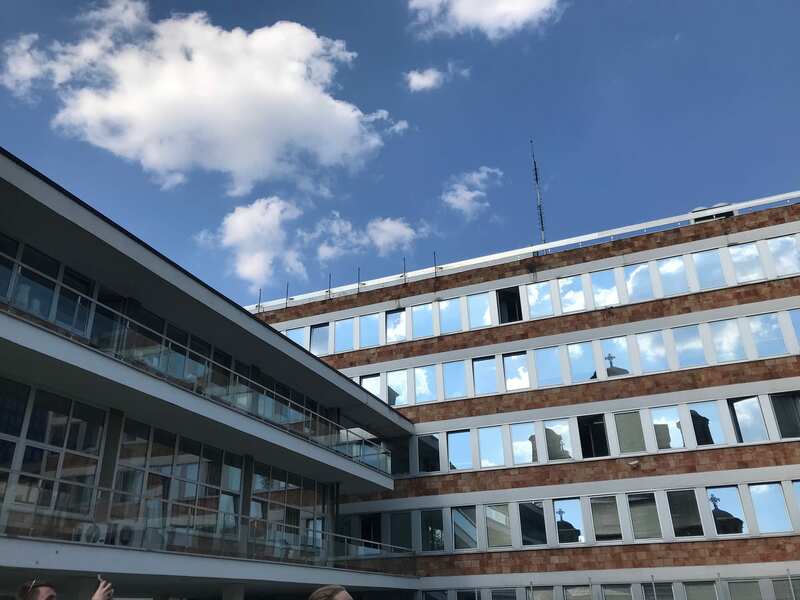 While some executives told their friends who worked at RTS to leave, some directors who refused to leave and many technicians who didn’t know about the coming bombs were left in the building to maintain the live media feed. 16 people died in that attack, which Amnesty International described as a war crime. We visited the building and a monument just across, which listed the names of the victims. 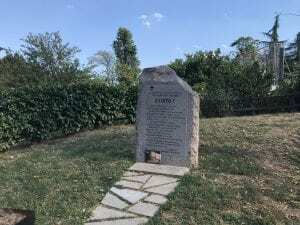 This monument was erected by the families of the victim and simply asks Zašto? (Why?). None of the monuments we visited were built or commissioned by the government, but instead by the families of victims or news organizations. Perhaps the government wants to distance itself from admitting its involvement in the wars? This non-involvement in monument building can also be seen as an act in which the government can avoid having to come to a concrete memory of these wars. The history and politics of this region is so interesting and complex – I feel like I’m constantly both understanding more and becoming more confused about everything I learn. In about a week, our group will be heading down to Kosovo for a week. If you’ve heard in the recent news, negotiations have reopened as Serbia and Kosovo are discussing exchanging territory and redrawing boundaries. It will be an interesting trip, to say the least. Well, that’s all for now. Life in Belgrade has been so busy and exciting, I feel so lucky to be here! This entry was posted in Uncategorized on September 24, 2018 by Bella Rivera.